We have our first family trip on Saturday, 26th October to The Summer Palace and we hope many families will join us. Children will have brought information home this week about the trip. The deadline is Monday 21st October to sign-up. 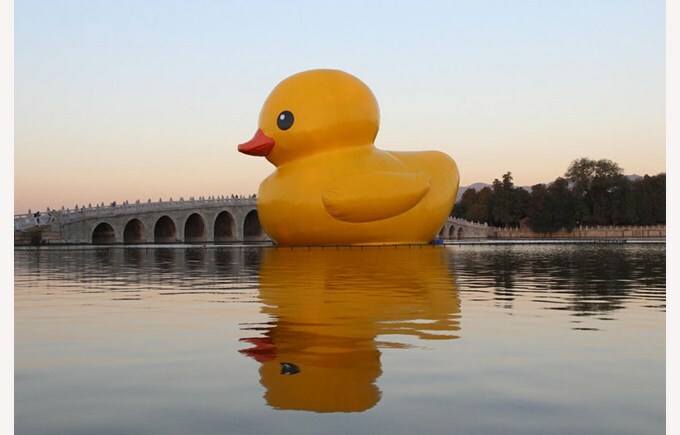 For those that may not know the big yellow duck that has been seen in many lakes and harbours around the world is currently at the Summer Palace. We believe it will be there until the end of October. Beijing Design Week (BJDW), the organizer of the duck project in Beijing, announced on Tuesday the launch of a parting program for the Rubber Duck, including an online photo collection, which invites visitors to capture interesting moments when they view the Rubber Duck and post them on Sina Weibo, a twitter-like service in China. See if you can get a ‘quirky’ photo on Saturday and post it on Weibo! On the day of the trip we will give you a map of the park with our entrance, exit and lunch stop clearly marked on it. We hope to see you on the 26th!